Home > News & Resources > How Do I Get A Free Consultation With An Auto Accident Attorney In Charlotte, NC? 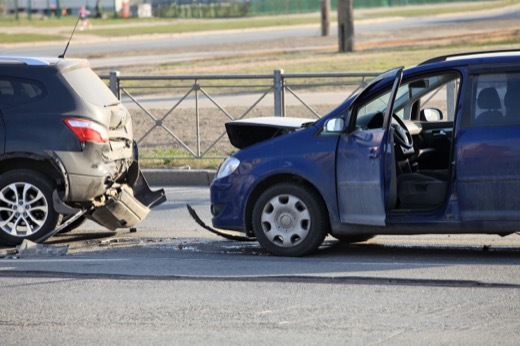 When an auto accident happens in Charlotte, North Carolina, there’s a good chance that those involved are going to need to talk to an attorney. You probably have a lot of questions that need answering about your specific claim, but there are some essential questions that you’ll need to ask the lawyer to find out if they are the right person to represent you while pursuing your auto collision claim. In order to effectively discuss your claim, you’ll need to bring certain information and pieces of evidence with you. But you also need to question the lawyer about their experience, credentials, and more. The following information and questions to ask will help you to be prepared for your initial consultation with a Charlotte, North Carolina, auto accident attorney. The first thing you need to do is to research the auto accident attorneys in Charlotte, North Carolina, and make a list of those with whom you’d like to seek a free consultation. When researching, look at reviews, look at who is near you, and look at who offers free initial consultations. Once a shortlist has been created, contact those attorneys to schedule the consults. Now that you have scheduled consultations with a few Charlotte, North Carolina, auto accident attorneys, you can start preparing for involving two cars at a crosswalk Charlotte North Carolina car wreck attorney those meetings. This means that you need to know what to bring with you, including evidence from medical professionals, all bills and estimates for treatment and property damage, and any photographs and witness contact details that you may have in your possession. This will allow the attorney to evaluate the merits and value of your claim. The more evidence you can bring, the better off you’re going to be and the more prepared you and the lawyer will be to address your case. However, you also need to ask some questions of the attorney that go beyond the details of the case. It is important to find out if the auto accident attorney you’re consulting with has experience with cases that are similar to your own as well as how much experience they have in general. So, ask how long the lawyer has been in practice and what kinds of cases they usually handle. Find out when they received their law license. Ask if that license has ever been suspended. Find out if they are comfortable taking your case to trial if necessary, and whether or not they have received any honors or awards. In most cases, an auto collision claim will be settled out of court, but it’s important to work with a lawyer who is prepared to go to trial if that becomes necessary. Many people don’t think to ask an attorney about their case load, yet this is among the most important questions that you can ask. This is because you want to ensure that the lawyer is going to have enough time to focus on your case and give it the attention that it requires. If the lawyer has too many cases or is overly busy, you may not have the quick response to the communication that you need, and may wonder if your case will ever be addressed. In some cases, there may be other lawyers who will also work on your case, and you should find out about this too. Ideally, you will work with a Charlotte, North Carolina, auto accident attorney who works with a contingency fee arrangement. If so, you won’t have to pay them unless you recover compensation, and then, it will only be a percentage of what you receive. If you don’t recover any compensation at all, then you won’t have to pay the lawyer if they work on a contingency fee basis. You should also ask about other legal fees and expenses, for things like court costs, expert witnesses, etc. In some cases, the lawyer will cover these expenses, and then take that money out of your compensation. But what happens if you don’t win? Do you still have to pay those fees? Find out at the consultation, and you’ll be prepared for any outcome. This will also help you to choose the right attorney for your needs. Once you have discussed all of these concerns with a Charlotte, North Carolina, auto accident attorney, you’ll want to start looking at the details of your own case. It is a good idea to come prepared with a list of specific questions that you have already thought about. You’ll want to know whether it’s necessary to use expert witnesses, whether there is any doubt about the validity of your claim, the approximate value of your claim, and how you’re going to go about proving this. There may also be steps that you need to take to protect your claim that you can ask about, such as getting statements from others about your condition or avoiding posting on social media for the duration of the claim. Get all of your questions answered now, so that you won’t be surprised later. The attorneys at Brown Moore & Associates are happy to provide a free consultation to discuss all of your concerns about your Charlotte, North Carolina, auto accident claim. We have the experience and skills that you need to ensure that you get the most compensation for your injuries and damages. Call today to schedule your free consultation, and we’ll get to work on your case right away.